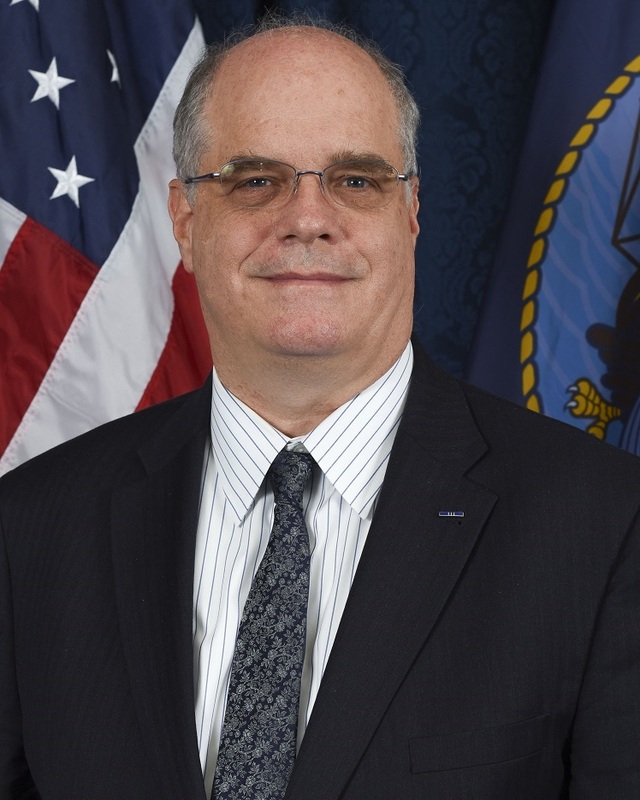 Dr. Farley currently serves as the Director, Transformational programs in the Office of the Deputy Assistant Secretary of the Navy (Financial Policy & Systems). Dr. Farley leads several enterprise-level initiatives including the STARS to SABRS transition, G-Invoicing, and Feeder System Consolidation. These initiatives are designed to assess alternative system solutions to rationalize financial management systems and enable audit proven capabilities across the DON enterprise. Between 2013 and 2015 Dr. Farley served as the CNIC Director, Financial Management Operations, Navy Installations Command. In this role he was in charge of Accounting (N82), Systems (N83) and the Financial Improvement and Audit Readiness (FIAR) team. During his career Dr. Farley has been the recipient of many awards including the Navy Superior Civilian Service Award (2016), the Navy Meritorious Civilian Service Award (2014), the Association of Government Accountants Northern Virginia Chapter, Pentagon Memorial Service Award (2005), the American Society of Military Comptrollers Financial Systems Award and the Under Secretary of Defense (Comptroller) Financial Management Systems Award (1998). He has served as a thought leader in the defense financial management field and has published several articles on the subject. Navy (Financial Systems & Policy) The Navy Executive in charge of several enterprise-level initiatives including the STARS to SABRS Project, Financial Feeder System Consolidation, and the implementation of G-Invoicing to systematically manage reimbursable work between the Navy and other DoD and Federal entities. Command I served as the principal advisor to the CNIC Comptroller. I led the HQ operations of CNIC’s Accounting Division (N82), Financial Management Systems Division (N83) and Financial Improvement and Audit Readiness (FIAR) Team. As Director FMOPS I focused on three complementary efforts, 1) audit readiness, 2) streamlining and standardizing financial management operations, and 3) developing methods to collect and present average unit cost measures to help improve decision-making. Nov 2003 – Nov 2005: Director, Business Financial Systems, Defense Intelligence Agency As the Senior Expert for CFO Act System I led the implementation of an Enterprise Resource Planning (ERP)-based Core Financial System. To derive the full benefit of this system I orchestrated and aligned the activities of the other DIA senior executives in the Acquisition, Logistics, and Human Capital domains. I served as the principal budget analyst for the Operation and Maintenance, Marine Corps (3 years) and the O&M, Navy (1 year) appropriations. In 2003 I served as the OUSD(C) representative on the Secretary’s Joint Defense Capabilities Study. · CNIC Analytics Maturity and Cost Management for the New Normal. Armed Forces Comptroller 59 (1): 35–39. Ms. Kuhfahl has been a financial manager with the USMC and Navy for over 17 years. She was honorably discharged from the USMC in 2004 and began her civilian career with Headquarters Marine Corps, Program and Resources. She spent 8 years with the Marine Corps working all aspects of financial management to include: budget formulation, budget execution, audit, and systems support. She has been supporting the Navy over the past 2 years in with their STARS to SABRS migration and has assisted them in successfully migrating six of the ten Budget Submitting Offices (BSOs) working as a financial management analyst with the Don’s Office of Financial Policies and Systems. - Nov 15 – Mar 18: Director, SABRS Programs, Sehlke Consulting; Program Manager for the United States Navy’s migration from their existing accounting system to the Marine Corps’ Standard Accounting, Budgeting, and Reporting System (SABRS), the SABRS Management Analytical Retrieval Tool System (SMARTS). - Nov 11 – Oct 14: Execution Branch Head, Marine Corps Installations Command; Manage funding to subordinate commands and maintain account balances for (5) 1 year appropriations, (2) multi-year appropriations, (7) no year appropriations, and (3) revenue generating accounts. Act on behalf of Programs and Resources (P&R) as the Basic Symbol Sponsor for Family Housing and Energy Conservation Improvement Program to include providing justification on any 1002 discrepancies, maintaining appropriation level balances with Programming Budgeting Information System and Program Budget Accounting System, and consolidating allocation/obligation phasing plans for submission to the Department of the Navy (DON). - Jul 07 – Oct 11: Financial Management Analyst, Headquarters Marine Corps, Program and Resources; Conducted the budget formulation for the USMCs Depot Maintenance, Prepositioning, and Working Capital fund programs. Monitor Marine Corps Command’s monthly obligation rates versus phasing plans on the $10B OMMC appropriation. Recommend adjustments to estimates, propose priorities for funding, and prepare detailed plans for reprogramming among activities and projects, keeping the Marine Corps adherent to realignment thresholds. - Jul 09 – May 10: Operations and Maintenance Budget Chief; United States Forces Afghanistan; Monitor the execution of USFOR-A resources, review and consolidate monthly spend plans for submission to Army Central Command, serve as the J8 subject matter expert for the Joint Facilities Utilization Board and the Joint Acquisition Review Board, and manage the Commander’s Emergency Response Funds, Afghan Security Forces Funds, Military Pay and Allowances, and the Logistics Civilian Augmentation Program. - Aug 05 – Jan 07: Financial Management Analyst, Lockheed Martin: Operated enterprise USMC financial support for the SABRS Helpdesk to provide field level commands support for policy inquiries, procedural and system errors, and general financial management questions and problems. - May 00 – May 04: Fiscal Budget Technician, Sgt – USMC Training and Education Command; Responsible for all execution activities (funding documents, tri-annual review, ULO validations, and travel/credit card transactions) along with managing the USMC’s World Wide Travel Account. Mr. Steven Birk serves as the lead Senior Staff Accountant for the Financial Statement Review and Analysis Team and previously served as Senior Budget Analyst within the Office of the Under Secretary of Defense (Comptroller). Mr. Birk has 39 years of DoD Financial Management experience working for the Army, Navy, DISA, and OSD Comptroller as a Resource Management Officer, Budget Officer, Accounting Officer, Systems Accountant and Staff Accountant. He has worked in the field and at headquarters on most general fund appropriations and the Defense Working Capital Fund. Mr. Birk has served over the last 2 years as Treasurer for the American Society of Military Comptrollers, Washington Chapter and has a Master’s degree in Business Administration. Mr. Birk is actively engaged with the Association of Government Accountants and the Federal Accounting Standard Advisory Board. In addition, Mr. Birk is a Certified Public Accountant (CPA), Program Management Professional (PMP), Certified Defense Financial Manager (CDFM-A), Certified Government Financial Manager (CGFM), and Defense Certified Financial Manager (DCFM Level III). Ms. Nicole McClenic serves as the Chief of the Budget Formulation Branch for the Office of the Chief of Army Reserve, Comptroller Division in Fort Belvoir, VA. For nearly 11 years, Ms. McClenic has served in a variety of positions with progressively more responsibility in the areas of the budget formulation, resource management, and manpower. In her current position, Ms. McClenic oversees the budget formulation, the presentation, and defense of the United States Army Reserve appropriations to include Reserve Personnel Army (RPA), Operation and Maintenance Army Reserve (OMAR), and Military Construction Army Reserve (MCAR) affecting over 200,000 Soldiers and civilians in 1,500 units and over 1,000 facilities. Prior to working in the Office of the Chief of Army Reserve, Ms. McClenic spent 10 years serving in multiple positions within the Office of the Assistant Secretary of the Army (Financial Management and Comptroller), Army Budget Office at the Pentagon. She served as a lead budget analyst in the Management and Control Directorate where she provided oversight to stakeholders to ensure that Army’s budget submissions complied with directives and guidelines of the Office of the Secretary of Defense, Office of Management and Budget, and Congress. As a financial management analyst in the Operating Forces Division of the Operations and Support Directorate, she built the critical Unit Operating Tempo (OPTEMPO) portion of the Operations and Maintenance, Army (OMA) appropriation budget. She also served as the Congressional Action Officer for both OMA and the Military Personnel Army appropriations where she helped craft effective responses to inquiries from Professional Staff Member of Congress. Before joining the Department of Defense as an Army Civilian, Ms. McClenic worked in the private sector gaining experience in project management, policy development, strategic planning, and higher education administration. 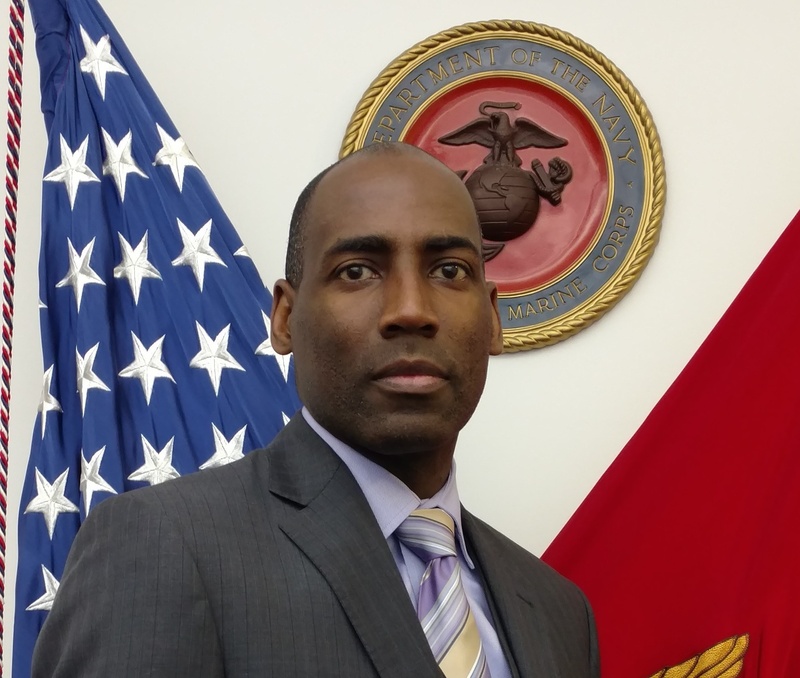 Mr. Jonathan Newell is the Deputy Director for Administration and Resource Management (AR) Division at Headquarters Marine Corps with more than 20 years of financial management experience. He is also a Lieutenant Colonel in the Marine Corps Reserves. Mr. Newell’s previous DoD and military assignments include: Resource Evaluation and Analysis analyst at the AR Division Fiscal Office; G-8 Budget Officer and S-4/Supply Officer at Marine Forces Pacific; Disbursing Officer, Marine Corps Base Quantico; Budget Analyst, Headquarters Marine Corps Programs and Resources (P&R); and Joint Acquisition Review Board/Joint Facilities Utilization Board Officer-In-Charge, II Marine Expeditionary Force (Forward) Fallujah, Iraq. He has also worked in the corporate arena as a Budget Analyst with HomeBanc, Inc. and as a Strategic Financial Analyst with Asurion. Mr. Newell is from Cairo, IL. He received his Bachelor of Science Degree in Accounting from Southern University and A&M College in Baton Rouge, LA; his Masters in Management from the University of Maryland University College; and his Masters in Business Administration from the University of Maryland University College. Mr. Newell’s awards include the Meritorious Service Medal and the Navy and Marine Corps Commendation Medal with two gold stars in lieu of third award. · Lead Purchasing Agent: Conducted acquisition related activities for 12 Coast Guard sub units in the Southwestern Alaska region totaling over $1M annually. · Base Kodiak Warehouse Manager: Responsible for the distribution, tracking, and disposal of equipment and capitalized assets totaling over $20M. · Supply Officer: Administered all financial aspects of Coast Guard LORAN Station Las Cruces, NM including the management of a $65K annual operating budget and over $800,000 in electronic aids to navigation assets. · Recruit Company Commander: Successfully led over 500 newly enlisted recruits through rigorous 53-day boot camp training program. · Chief, Facilities and Containers Branch: Administered the Coast Guard Compliance Inspection Program for the Pennsylvania/Delaware/New Jersey region to include the planning and execution of multi-agency strike force operations with federal, state, and local law enforcement agencies. · Out-Year Budget and Finance Manager: Directed all activities related to the formulation and execution of $134M annual Coast Guard Reserve Training Appropriation. · Author of two professional articles published in the Armed Forces Comptroller Journal and Reservist Magazine. LT Sanchez resides in Alexandria, VA with his wife and young son. He serves as the Coast Guard Vice President of the Washington, D.C. chapter of the American Society of Military Comptrollers and is a sitting member of the Coast Guard Mutual Assistance Board of Control. 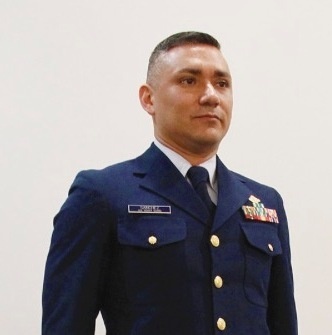 LT Sanchez has received numerous honors and awards for his dedicated service, including two Coast Guard Commendation Medals, three Coast Guard Achievement Medals, and a Commandants Letter of Commendation. He holds a B.A. in Political Science and a Masters Degree in Public Administration (MPA) from American Military University. He is a Certified Defense Financial Manager with Acquisitions Specialty (CDFM-A), Certified Government Financial Manager (CGFM), and Project Management Professional (PMP). Debra S. Del Mar, is Co-Founder of Vanguard Advisors, LLC, a small, woman-owned business based in Northern Virginia. Vanguard Advisors serves an elite group of industry firms who support government objectives of improving performance and readiness in the areas of financial management and business transformation. As managing partner, Ms. Del Mar provides thought-leadership, in-depth experience, and proven business strategies that enable clients to realize impressive growth through the achievement of rapid results, operational effectiveness, and ROI for their government customers. Previously at American Management Systems, Inc. (AMS), Debra’s leader-ship positions included Vice President/General Manager for Defense Financial Solutions and Vice President of Business Strategy for Defense & Intel Division. A member of ASMC since 1985, Ms DelMar has been both the Corporate/Retired Vice President for the ASMC Washington Chapter & the National Capital Region PDI Chair since 2006. She earned an MBA in Science & Technology Innovation from George Washington University and a BS in Chemistry from The College of William and Mary. 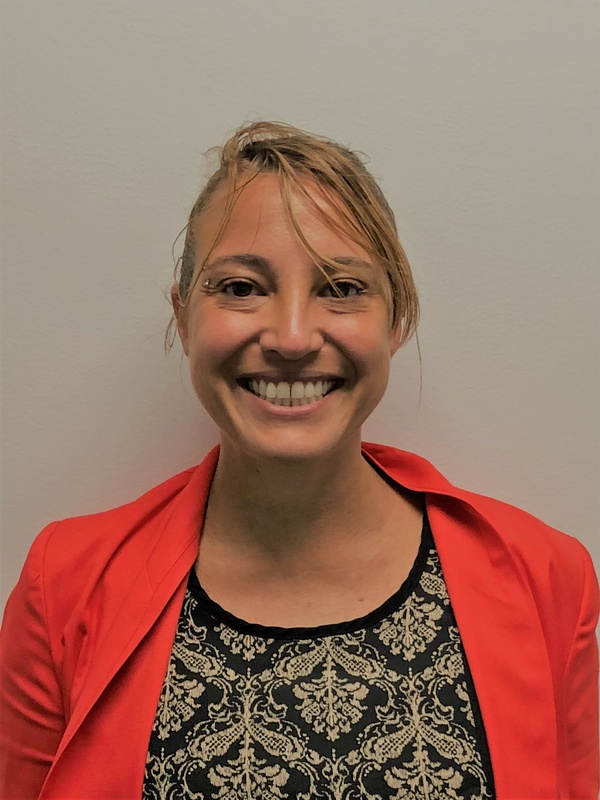 Ms. Veronica Trent is a Senior Budget Analyst for the Department of the Navy, serving as a Senior Financial Analyst for Field Support Activity (FSA). She’s responsible for over $500 million in Operating and Maintenance (O&MN) funding for DOD Combatant Commands (COCOMs). She’s also responsible for the Operation Iraqi and Operation Enduring Freedom supplemental funding for the COCOMs and activities under the cognizants of Field Support Activity. Prior to serving as a Financial Analyst at FSA, Ms. Trent held the position of a Senior Program Analyst at the Naval Sea Systems Command (PEO Ships/ AEGIS Program) for 18 years. She has received her certification in Department of Defense Acquisition Program as a Level III (the highest level) in the Business Cost Estimating and Financial Management career field. She’s active with her local church and children’s school and has taken on the responsibility of mentorship with a Navy intern. Ms. Trent currently resides in Upper Marlboro, MD with her husband and two children. Ms. Finney has played an active role in supporting the ASMC’s mission to improve military comptrollership across many facets including budget, cost, accounting, and finance. For the past 9 years, Ms. Finney has served as the ASMC National Capital Region PDI Treasurer / Finance chair and has also assumed the duties of the Sponsorship Chair over the past four years. Her support and hard work was recognized by the Washington DC Chapter in 2013 when she received the Distinguished Service Award. In March of 2013 and 2014, the Washington DC Chapter hosted its annual National Capital Regional PDI event at the Ronald Reagan Building with record breaking attendance each year. Ms. Finney played a key role in recruiting other corporate sponsors for the event. Having established a working relationship with past corporate sponsors, Ms. Finney was able to secure additional corporate sponsorship for the Regional PDI which completely covered the expenses of all government attendees. This allowed government attendees to participate at no cost, a tremendous feat in this time of budget austerity and training cuts. Ms. Finney is also involved in the planning, organization, and execution of the annual ASMC-AGA Golf Tournament each July at Fort Belvoir. Through active sponsorship solicitation, she has ensured this event has been profitable since 2009. Mr. Wayne Whiten is an efficient and effective financial manager with 34 years of experience. He served 20 years on active duty in the U. S. Army. Currently, he is a Principal and Project Manager (PM) supporting numerous customers in the Department of Defense, other federal agencies and the Commercial sector. Mr. Whiten demonstrates rare abilities, skill sets, and attributes in logistics, finance, information technology, and manpower. He is a proven leader, Certified Defense Financial Manager with Acquisition Specialty (CDFM-A), Certified Fraud Examiner (CFE), Certified Internal Control Auditor (CICA), and registered/licensed Private Investigator (PI) who understands the significance of strategic planning, guidance, and implementation from the business, employee, customer, and strategic partner prospective. He is proficient and knowledgeable in business and employee ethics with extensive knowledge of Planning, Programming, Budgeting, and Execution System (PPBES). Mr. Whiten articulates both the logistics and financial aspects of requisitioning, budgeting, formulating, allocating, funding, programming, and material return procedures from cradle to grave. He is the recipient of the 2011 ASMC Washington Chapter Distinguished Service Award and 2006 CALIBRE Distinguished Service Award. Mr. Whiten has a Bachelor’s degree in Computer Science and Master’s degree in Organizational Management. He is a member of: The American Society of Military Comptrollers; The Association of Certified Fraud Examiners, and is the past and present Registration Chair for the ASMC Washington Chapter National Capital Region Professional Development Institution.